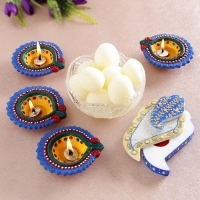 Enjoy the auspicious Diwali this season by gifting your loved ones with bright Diwali gifts. 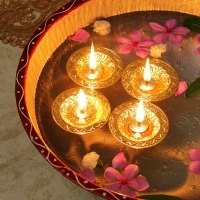 Let them lend voice to your inmost feelings. 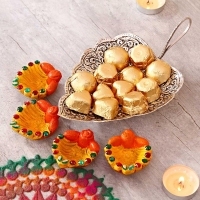 With Diwali 2016 just round the corner and the period beckons a period of merriment- a time to relish the company of your family and friends, dress up in best clothes and savour the best dishes prepared for this event. 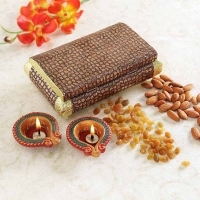 Send beautiful Diwali gifts to all special people in your life and convey your heartfelt wishes in a matchless style. 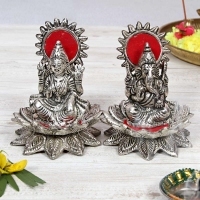 Centuries ago, Lord Rama- the exiled king of Ayodhya for 14 years returned home along with his wife Sita and brother Laxman after having conquered the demon- Ravana, who had abducted Sita. 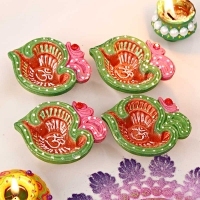 The citizens of Ayodhya rejoiced his homecoming by decorating the entire city and lighting oil lamps, which became a tradition. 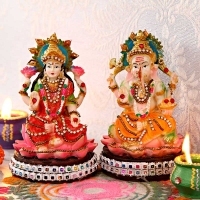 Diwali marks the victory of good over evil, light over darkness and the celebrations last for five days starting from Dhanteras until BhaiDooj. 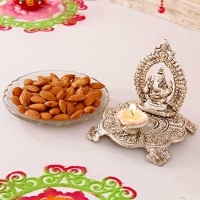 On this day, people worship the goddess of wealth and prosperity, Maha Lakshmi and seek her blessings. 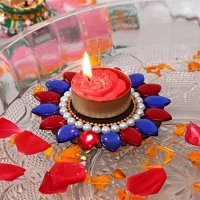 People decorate the houses with flowers, lamps and rangolis and also decorate the doorways of homes. 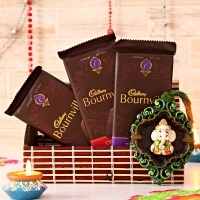 However, the real happiness of Diwali involves Sending Diwali gifts and sweets for your loved ones and brightening up their day. 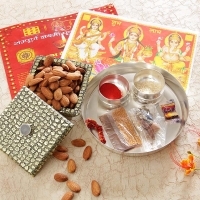 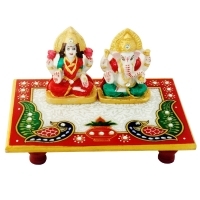 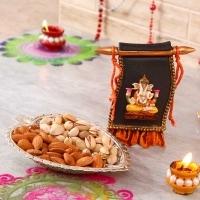 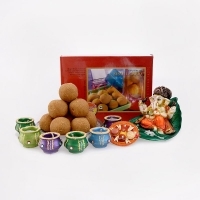 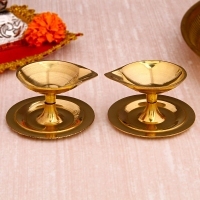 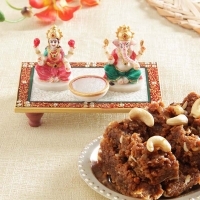 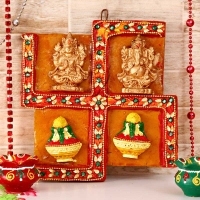 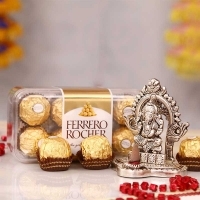 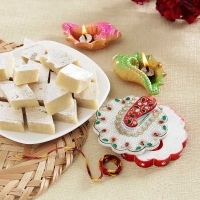 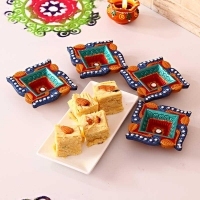 At Diwali-gifts.com, you have a wide array of Diwali delicacies, Diwali decoratives, lifestyle gifts, and exclusive gifts, which are thoughtfully picked to meet your expectations. 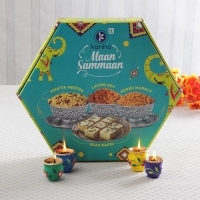 You can place your order online and Send Diwali gifts to India or any location in the world with a promise of quick and safe delivery. 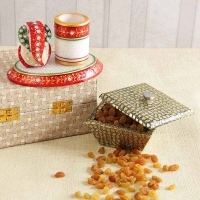 Our Indian customers can enjoy free shipping for deliveries within India. 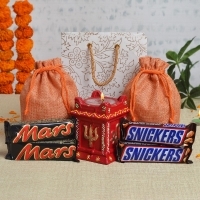 Send Diwali giftsto your loved ones today and create fond memories.